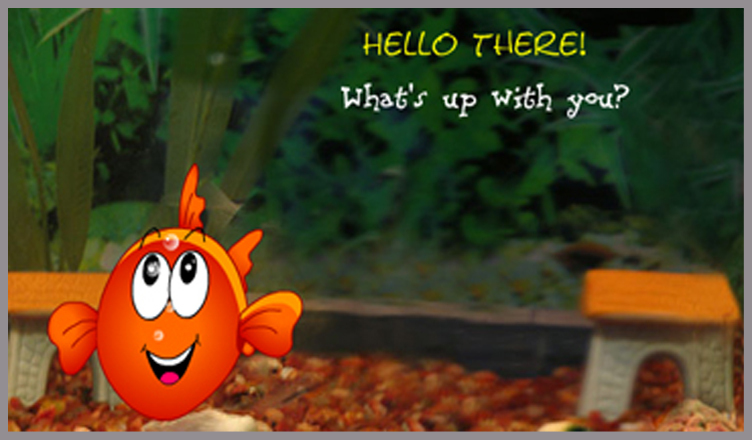 123Greetings 2.0 – A Sneak Peek! 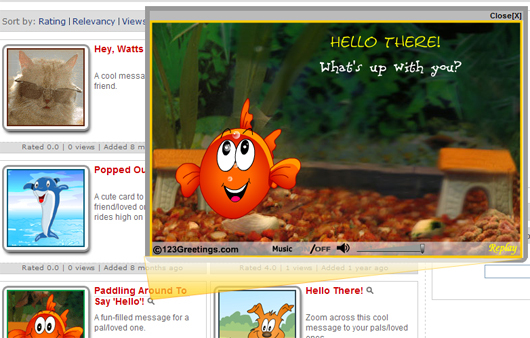 All of our features for 123Greetings 2.0 are redesigned with our users like you at the center. Here are just a couple of features to whet your appetite. The navigation bar now gives you a better, faster way of finding the ecards. You will be able to navigate to any of the categories from anywhere on the site. A listing of the sub categories neatly comes on the 2nd row, allowing you to locate your ecard in a jiffy. The brand new rating system allows you to rate a card with 5 stars (outstanding) to 1 star (somewhat) based on your experience. Our rating engine then calculates the average rating for every card and presents the best ecards to the users based on various algorithms running in the background. We’ve added a cool way to improve the relevancy of the cards you see in search results and on the pages; You have the option of giving a thumbs up or thumbs down to any of the cards. This helps in getting you the right ecard for the right person, at the right occasion. You can make use of tags to find ecards easier and faster. Once you’ve found your favorite ecard, you can tag it so you don’t have to find it all over again. Use tags to locate ecards that are most relevant to you. The preview feature lets you preview the ecard in a faster way on the spot. 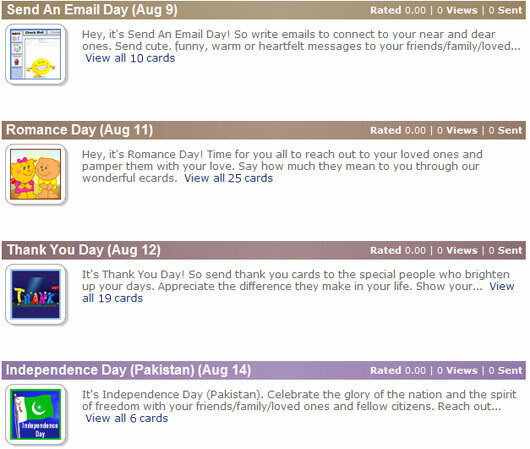 This allows you to scan through a larger selection of ecards before deciding which ecard to send. Get to our new ecards faster from the “Latest Additions” section. A lot of you guys wanted to see the latest ecards, this section features ecards that are hot off our drawing boards. Give us your two cents! You can add your own comment to individual ecards. Share your views with other users and become part of the 123Greetings community. Each category page has its own mantle, helping you pin-point to the exact sub-category you want to go to. And of course you can still find our wacky events and major events with our new and improved events calendar. You’ll find what’s coming up on the right hand side panel on the home page. Our expanded calendar page shows you more about the events. There are a lot more ways to get to an ecard you want to send. 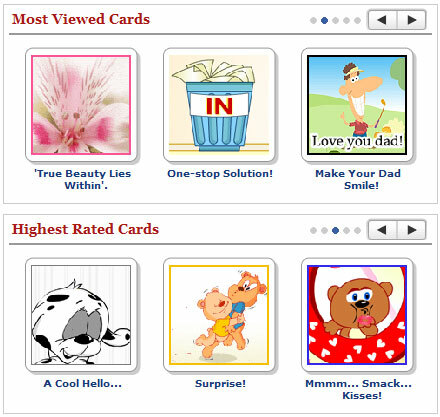 You can always check out what’s being viewed the most and the highest rated ecards. You can send your ecards from there too! You want to get your message out fast — we want to help you do that. 123Greetings 2.0 is all about helping you express the best, in the fastest way possible while having a great experience along the way. 123Greetings 2.0 is Launching Soon! Find Your Personalized Page – My Page On 123Greetings! Send Heartwarming Thanksgiving Invites With 123Invitations! Previous 123Greetings 2.0 is Launching Soon!